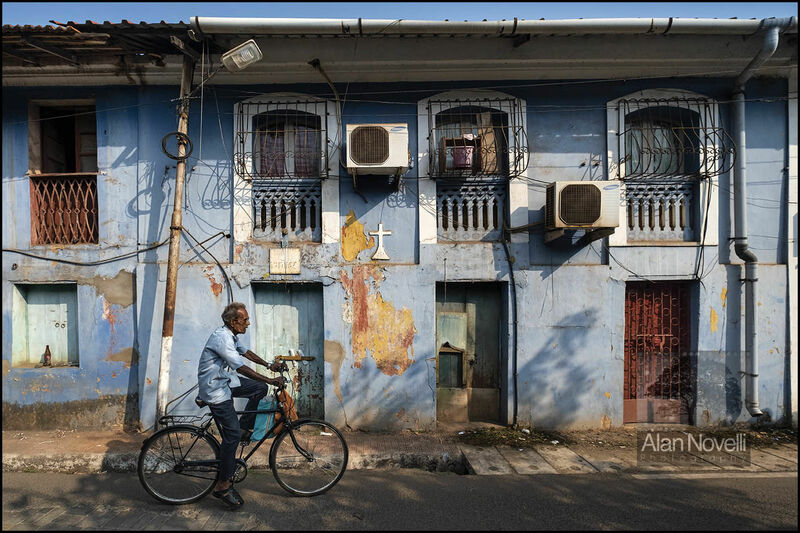 This image is the result of much searching around the backstreets of Panjim, also known as Panaji, which is the state capital of Goa in southwest India. I wanted to photograph a 'rustic' and colourful building which typified the houses there. This house seemed to fulfil the brief but when I reviewed the image something was missing. I waited for a local man to ride by on a bicycle which provided the human element missing from my image.